Transcendental meditation is a technique created by Maharishi Mahesh Yogi in the mid-1950s. It is not a religious method, but a practice open to all. Today it is one of the most popular practices and has been researched numerous times. Certified teachers usually teach it, but you can begin alone to try if it suits you. The process of meditation lasts for about 15 to 20 minutes every day. The practitioners are encouraged to sit in a comfortable position with their eyes closed. The meditation involves the use of mantra taken from the Vedic tradition. Usually, the mantra is a specific sound that suits the practitioner, and it is given to him by a certified teacher. If you are not ready to learn with a teacher yet, you can start on your own. Some lists of mantras can be found online. Once you’ve sat and closed your eyes, wait for a few moments and then start thinking of the mantra. In the beginning, it is thought continuously. After a while it should become more effortless, allowing it to take any shape it wants. Then you become more passive, hearing the mantra rather than thinking about it. Contrary to other meditation techniques, transcendental meditation allows the thoughts to come and go as they please. Once you realize that the thoughts came back to you, you will naturally come back to mantra without forcing it. Once you’ve finished your meditation, wait for a few minutes before you open your eyes. Significant reduction of stress and anxiety, which results in the feeling of happiness, clearer thinking, and improvement of sleep. Improvement of mental health, treatment in issues such as depression, addiction, insomnia, ADHD, PTSD, and autism. How Is Transcendental Meditation Different? While you can usually read about all meditation techniques online or from a book, available information about transcendental meditation is very limited. It is sometimes criticized because people believe nobody should earn from this kind of spiritual practice. The Transcendental Meditation certified teachers defend themselves stating that it is necessary to go to a course to be sure to learn the meditation correctly. Contrary to many other meditation techniques, there is no apparent difference between a long time practitioner and someone who just started. Because of its simplicity, the technique is mastered reasonably quickly. You should feel the benefits from your first session and continue to develop those positive effects as you go on with the practice. 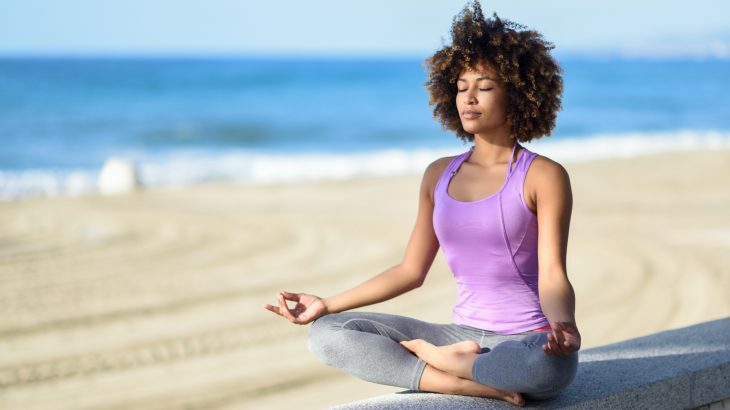 Also, unlike other meditation practices, Transcendental meditation is effortless, in that it doesn’t encourage the practitioners to try to control their mind, contemplate or concentrate. They believe it is not necessary to force the mind to meditate, but let it go there naturally. All types of meditation bring happiness and peace to people, and many practitioners prove this. Transcendental meditation goes a step further here, by providing over 300 studies, which have evidence of its benefits and effectiveness.